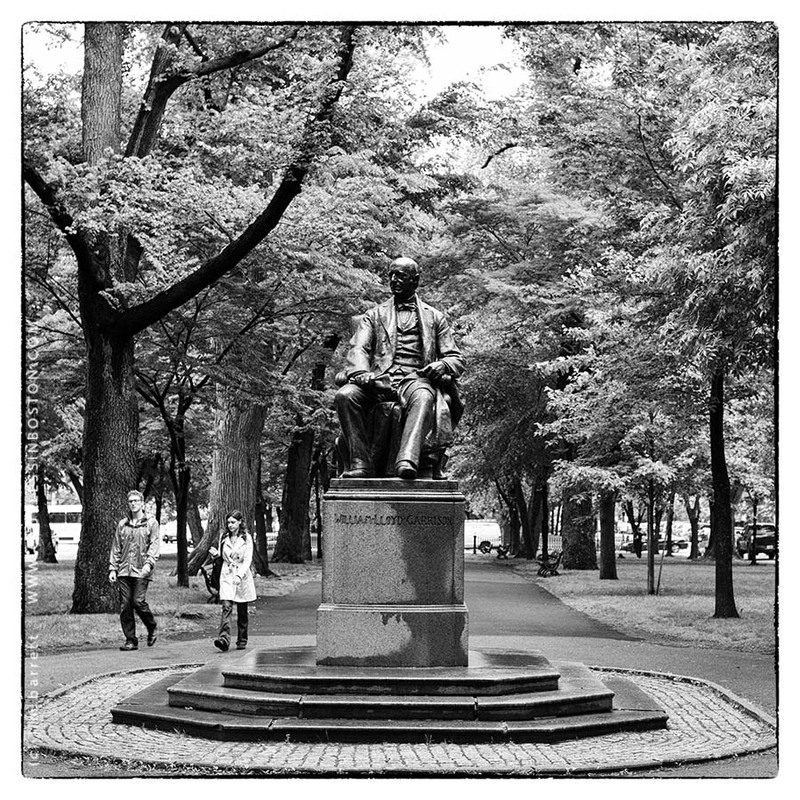 William Lloyd Garrison was a prominent Boston Abolitionist, social reformer and journalist of the 19th century. He is best known as the editor of the abolitionist newspaper The Liberator, and was one of the founders of the American Anti-Slavery Society. He promoted "immediate emancipation" of slaves in the United States. Garrison was also a prominent voice for the women's suffrage movement. I don't know how you get this B&W effect but the pictures are really beautiful! When I was in Boston, I lived on Garrison Street in Newton, just above BC. I never did the research to figure out if it was named for Bill. I was just recently introduced to William Lloyd Garrison in Tom Ryan's book, following atticus, which I can recommend even though I haven't finished it yet. Thanks for your photo and all the info. Beautiful composition and I love b&w for this image.